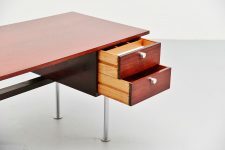 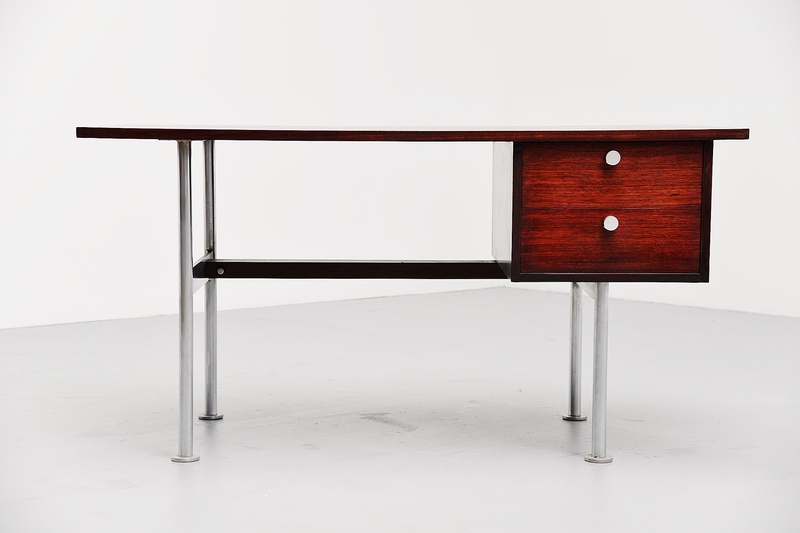 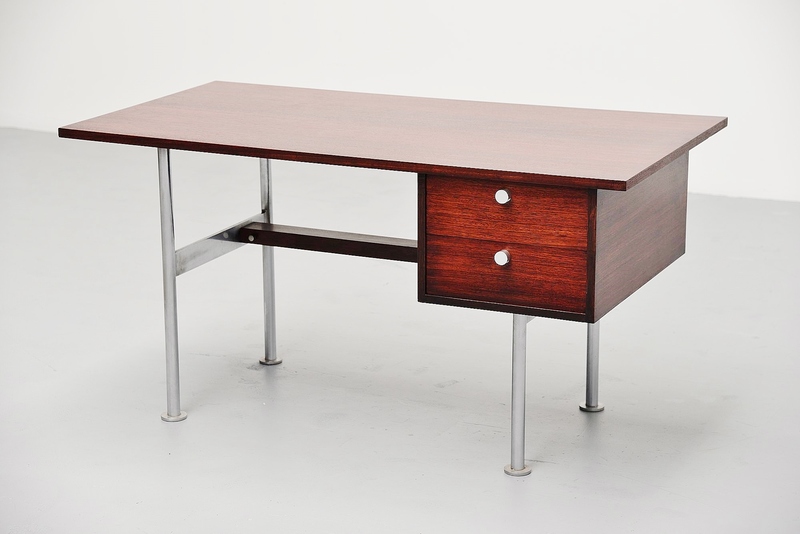 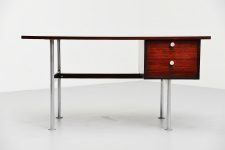 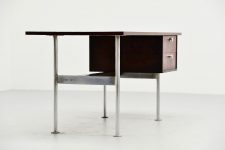 Modernist writing desk designed by Alfred Hendrickx and manufactured by Belform, Belgium 1960. 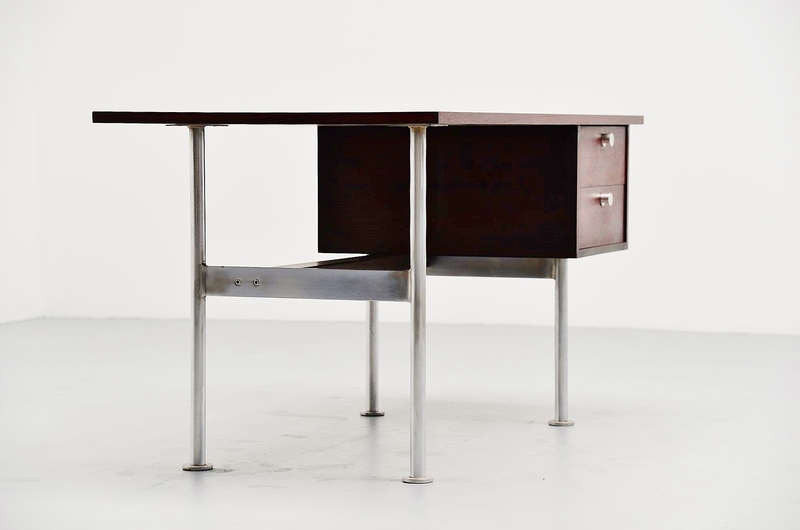 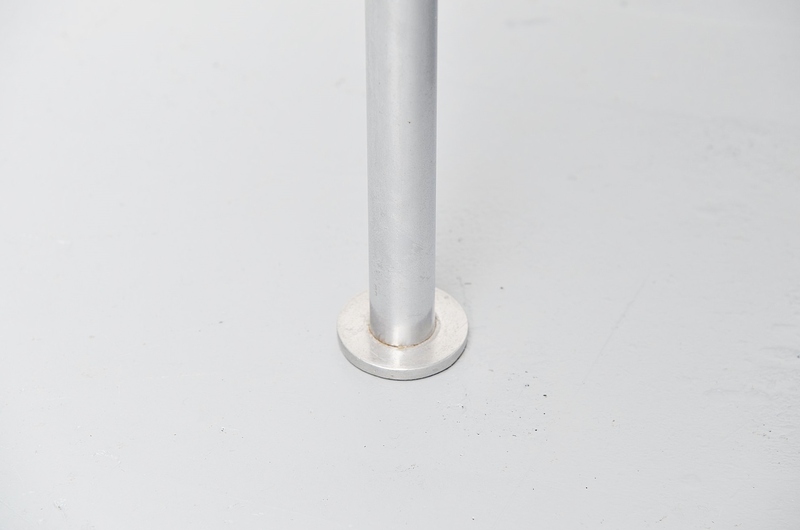 The desk has a brushed steel tubular frame and drawer knobs. 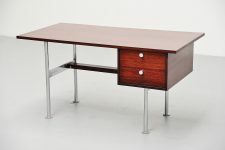 This has very nice Bangkok teak which is a little more reddish than normal teak. 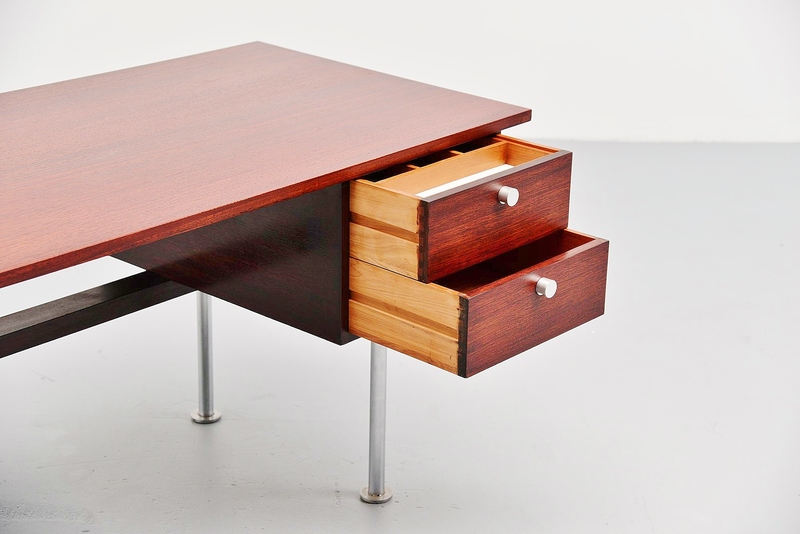 There are 2 drawers for storage options. The desk is in very good original condition. 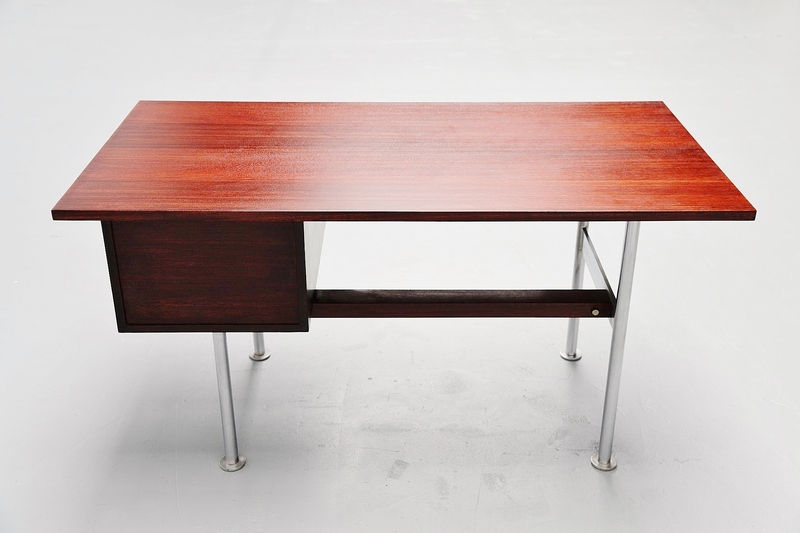 Nice piece of Belgian minimal design.